Longtime local family owned! Chris was very professional and fast. I called in the morning and he was able to stop by that afternoon for an estimate. The price was super reasonable and he came back the next morning to do the job. I will definitely be using him again!! Chris was extremely professional! What an awesome company to do business with! They did a great job!! I will definitely refer Starrett to everyone!! Fast, clean and after calling many companies they gave the best price as well! Thank you Starrett!! We called yesterday and they came out this morning to grind the stump of a palm tree that fell over. They were very polite and friendly and super knowledgeable about other questions we had about the yard. They charged a great price, too! Totally recommend them to anyone needing stump or tree removal! Chris and his crew did a great job removing a large coconut palm base from my front yard this weekend. Chris was responsive to my phone call and provided excellent communication throughout the process. Great local business! Starrett stump grinding and tree service is an all around professional company. Everyone on there crew is extremely polite and go above and beyond to make sure the job gets done efficiently and to the best of there abilities to meet all your needs! Everyone is very skilled when handling equipment as well as assessing any tricky situations some tree and stump jobs throw at you! Needless to say if you need your stumps grinded or trees removed these are the folks to call! We are a Tree Service company with over 25 years of professional experience with tree stump removal and tree stump grinding. Ready to take on your project large or small, commercial or residential. Starrett Stump Grinding specializes in hard to access and difficult to remove tree roots & stumps. We’ll give you professional advice, and go above and beyond to make sure the end result is perfect. 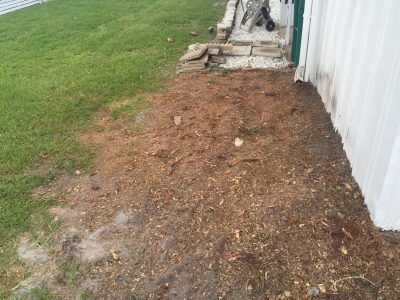 Over the years the Starrett Family have created a tree service business in Brevard county with a large solid customer base that continues to trust and depend on our tree trimming, stump grinding and stump removal services. Our service area includes Melbourne, Palm Bay, Cocoa, Viera, and all of the beaches… basically all of Brevard county. Our stump grinding services include remove old tree stumps for good and reclaim your usable space! Tree stumps on your property can attract pests, rot, and can be a walking hazard. Starrett Stump Grinding provides tree trimming and removal services that are extremely well versed in how to properly scale any tree and properly trim any unwanted branches. Our Storm Clean-up Services allow many properties to save time and money by trimming their trees before an emergency or major hurricane helping to eliminate possible risks. Our emergency tree removal services help when you need them the most. Do you have a tree falling over, splitting or dropping a large branch onto your home or property, we can help! Starrett Stump Grinding a commercial stump removal company is prepared if your HOA or Property Manager needs a stump removed on their commercial property, we can help! Our Starrett Stump Grinding a residential stump removal company is here if you’re tired of looking at a rather ugly tree stump & tree roots at your residential property, we can help! 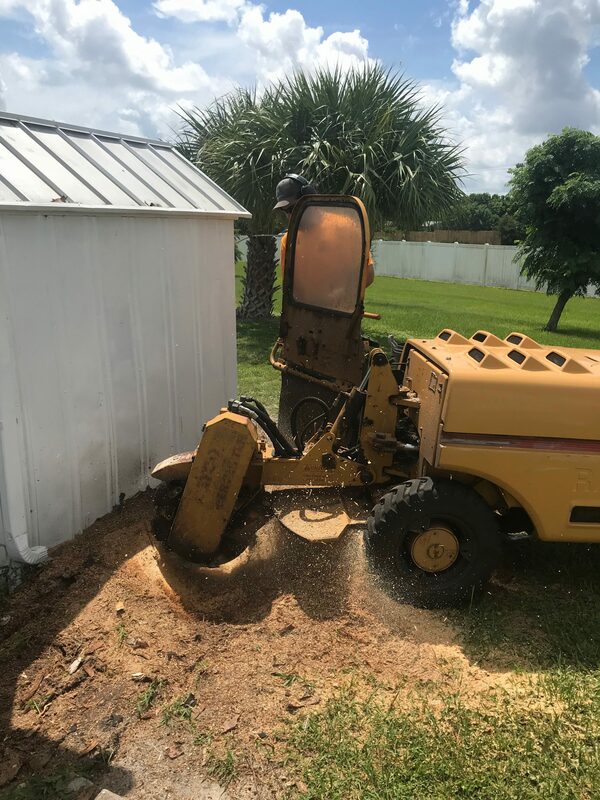 Over the years the Starrett Family have created a tree service business in Brevard county with a large solid customer base that continues to trust and depend on our tree trimming, stump grinding and stump removal services. We will continue this tradition by updating everyone on anything and everything stumps!